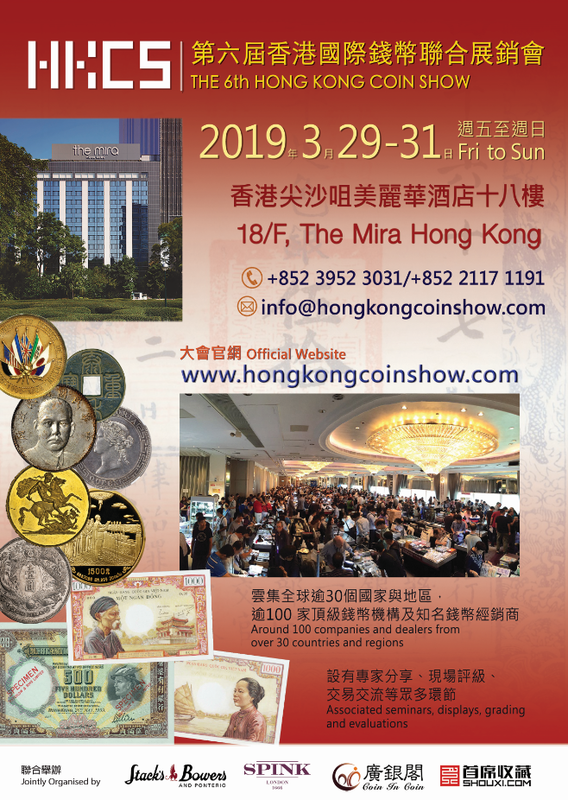 HKCS is a pure numismatic event taking place each year on the 18/F of The Mira Hotel each March/April and August. This exciting and well-attended event is organised by four partners: Stacks & Bowers and Ponterio, SPINK, Coin in Coin and Shouxi.com who are the leading companies in their respective fields. 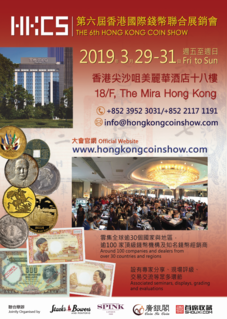 Our aim is to make Hong Kong a world-class numismatic hub for auctions and coin shows and therefore HKCS takes a holistic approach to include educational seminars, exhibitions and free appraisals by experts. To this end, we work tirelessly to ensure that our friends give us their full support. There's loads of goodies in there. Many different world banknotes and coins, a variety which you never see if you go to any other coin shop in Hong Kong. I see some nice Indian 19-20th century and lots of Chinese and Hong Kong coins and banknotes. There's also PMG, PCGS and NGC grading services there. The venue is quite crowded when I arrived, so if you prefer a quieter environment, or if you want to snap up the goodies early, be sure to buy the Early Bird pass which is 300 HKD. Otherwise, the entrance fee is 20 HKD. I remember seeing a Chinese Soviet Republic 20C coin, unfortunately I couldn't ever in a cat's nine lives afford it! Check it out! Worth going to!